The day of a child with cerebral palsy and his/her family is not as normal as others. it begins with everyday challenges for activities of daily living.starting from defecation to brushing bathing feeding and of course walking. plenty of assistive devices are available to make their lives easy. often we get them and start using but to get full benefit it is very important to use them properly and also maintain them. some rules for caring of these devices are 1)Proper cleaning and drying 2)Use of assistive devices during daily activities. not only to walk during a time of exercise but to use them for every activity and maximize their abilities 3)Help them make independent as much as possible 4)Regular repairing 5)Regular use of orthotics as advised. Maintaining nutrition in children with cerebral palsy is not so easy task. The difficulties are multiple; it can be because of constipation, unbalanced diet, under nutrition or overfeeding, difficulty in chewing and swallowing, hyper or hyposensitivity to touch around mouth. Parents have to make sure that they should make child sit for defecation at the same time everyday even if they don’t pass stool for few days. This sets their biological clock. They should be comfortable while sitting on commode otherwise they can be afraid to it. diet should include more fiber to facilitate defecation and care should also be taken for sufficient fluid intake. Besides this we have to be very vigilant about a balanced diet containing all the nutrients in right proportion like cereals, pulses, green vegetables, fruits etc.if the child is undernourished then he/she shall have low immunity and if overweight then it will further make mobility difficult. Since these children are mostly confined to homes they are very much prone to develop rickets/ osteomalacia. Exposure to sunlight and supplementation of Vit D are also essential for its prevention. Dental care is very important because many times it lead to dental carries, cavity which eventually affects chewing. So brushing twice daily has to be ensured. oro-pharyngeal exercise(like blowing balloons) helps a lot in swallowing and chewing. if child is sensitive to touch then make sure to use brush with soft bristles. Apart from this hypersensitive child reacts touching of food around mouth and hyposensitive does not feel it. We have to be cautious that with hypersensitive child touch should be very soft and conversely and temperature also should be normal not too hot nor too cold. avoid spilling of food material. On the other hand with hyposensitive child we have to introduce touching with different temperature and texture food items at a time for example solid to liquid, hot to cold. Common causes of foot deformity are polio, cerebral palsy, meningo-myelocoel, CTEV, nerve injury. If this deformity is because of muscle imbalance then it will need tendon transfer along with correction of deformity. Chance of recurrence of deformity became lesser by the use of tendon transfer. We utilize the tendon from remaining muscle in extremity that after transfer do not interfere much in important function of limbs. Selection of tendon is very important during surgery. Power of transferred tendon should be Grade 5 but never less than 4 because after transfer power may decrease upto 1 grade and it should in same direction of pull of weak muscles. We can utilize complete or half of tendon in transfer. Half tendon transfer are being utilized commonly in cerebral palsy & ctev affected foot. In ctev & cerebral palsy we utilized half tendon of tibialis Anterior to lateral side of foot to balance over action of forefoot inversion and half tendon of tibialis posterior in hind foot inversion of cerebral palsy foot . In foot drop, we transferred tibialis anterior to mid portion of foot and in calcaneous foot we transfer peronie & inverter muscle posterior toward insertion of tendoachilis. After tendon transfer, foot will be protected with plaster for 1 month and then with brace. 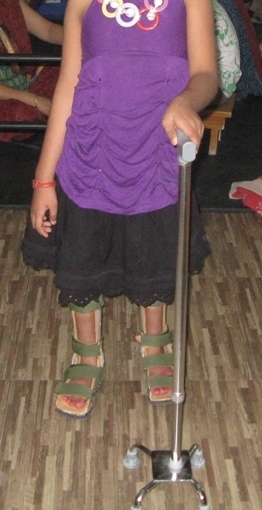 Vigorous therapy can be started after 6 week and child will to walk after 2 month with brace. Person has to wear brace minimum 3-4 months. Upper extremity involvement in cerebral palsy interferes with proper use of hand and it is most challenging for therapist and surgeon to deal with it. In upper extremity they can have problem in shoulder, Elbow, wrist, and fingers. Problem can be of combination of lifting of upper limb above the shoulder, reaching out to object or not able to perform fine activity by hand. It is also very important that preference of hand became fixed at the age of two year so it became imperative to start therapy at earliest to get maximum outcome before the age of 2-3 year age. We have many ways of therapy for hand like Bimanual, CIMT, sensory integration & proper occupational therapy. Affected hands in cerebral palsy have manifold problem like weakness, spasticity, contracture & sensory problem. Most difficult to treat problem in upper limb is non recognition of fine motor activity by cortical center in brain so that they are not able perform activity at their own in coordinated manner. Most important problem that interferes in therapy is contracture and spasticity in extremity that is too being managed at early. In early age (2-5 year), it can be managed by botulinum toxin but child develop fixed contracture then they require surgical intervention. earlier we use to do tendon lengthening of all affected tendon require long rest of hands and rehab can be started after months and recovery was not so good every time. But with the new concept of OSSCS & SEMLOSSS we use to relieve spasticity & contracture by aponurotic (facial coverage at musculo-tendinous junction) release by this technique we can start therapy early and child regain function in very short time. 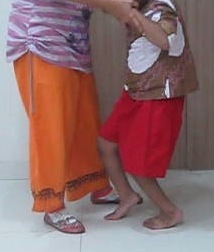 Some time these children also have weakness in few group of muscle so we also utilized the concept of tendon transfer. This tendon transfer help in regaining muscle power and good functional recovery. few children It is very important to continue therapy for log duration till complete recovery. Child should wear brace as advised their operating surgeon and therapist concerned. By use of all this modality we can give good functional recovery to child. Role of surgical intervention in children with cerebral palsy arise when we think that child is not improving with therapy any more & he resist to go for therapy at all. 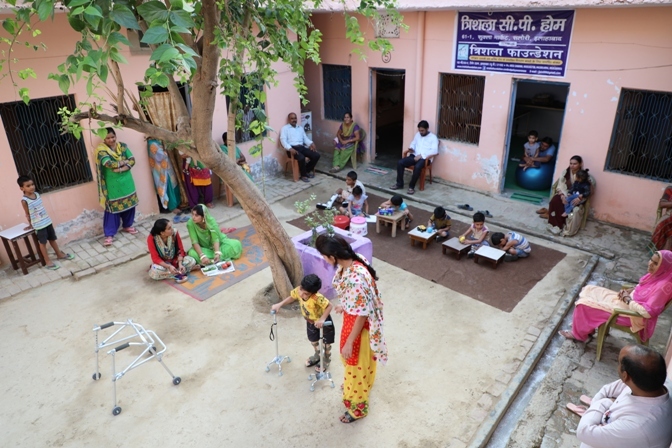 If none responding to therapy is because of development of fix deformity, weakness in some group of muscle, contracture of muscle & tendon along with torsional deformity of bone then child really need some intervention to tackle this entire problem. In early age it can be managed by therapy & braces and some time botulinum toxin. Most of the time, gait is matured between the age of 5-6 year age. After maturity of gait all these measure fail to give any benefit to these children then we really need some surgical intervention to prevent development of permanent deformity that can interfere in further functional improvement. Ideal age of surgical intervention is about 6-9 year age.